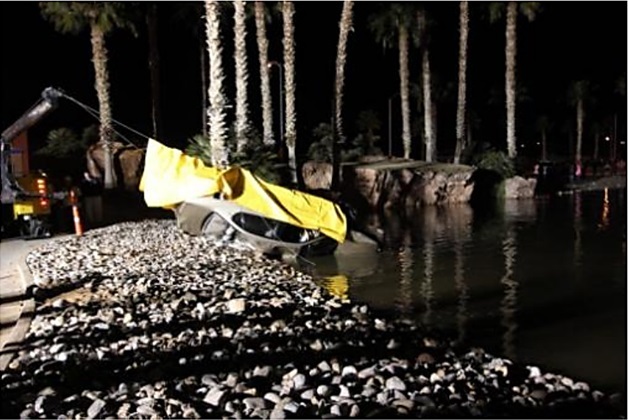 MESQUITE, Nevada — A man was pronounced dead at the scene Tuesday afternoon after he crashed his 2004 Chevrolet Impala into a pond at the Oasis Golf Club in Mesquite, Nevada, and witnesses and rescue crews were unable to save him. The vehicle crashed into a pond on the 12th hole of the Palmer Course at Oasis Golf Club, Mesquite Police Lt. MaQuade Chesley said. “For some unknown reason, he kept going and didn’t stop,” Chesley said. Two witnesses who were near the golf course at the time of the incident saw the car in the pond and jumped in the water to try and help McMurray, but one of the vehicle’s windows was open, water rushed into the vehicle and it sank into the 18-foot-deep pond, Chesley said. The witnesses called 911, and Mesquite Fire and Rescue arrived at the scene and also attempted to rescue McMurray , but he died in the water. 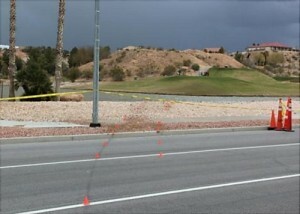 Nevada Highway Patrol arrived at the scene with its fatality team and began an extensive investigation. McMurray was pronounced dead at the scene by Coroner Investigator David Clegg at 7:30 p.m., according to the press release. McMurray’s vehicle was eventually retrieved from the water. 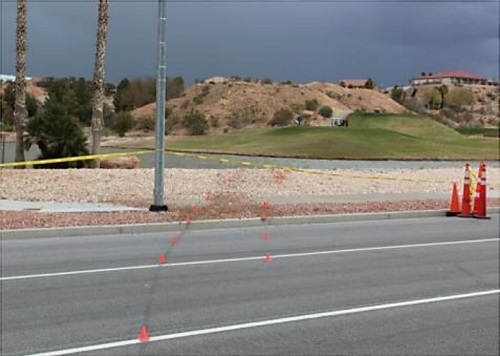 Factors that may have led to his crash into the pond are still under investigation, Nevada Highway Patrol Trooper Deborah Huff, who investigated the scene, said. McMurray’s identity was released by the Clark County Coroner’s office Wednesday morning. Ed. note: Story updated per additional details received from Nevada Department of Public Safety. After passing over Interstate 15, Mcmurray’s vehicle ran through the stop sign at Pioneer Boulevard and through the intersection. The car then took a track slightly to the right as it ran through the boulevard, over the curb and down into the pond.